Going to work at The Office everyday for the last two years has been a wonderful experience. 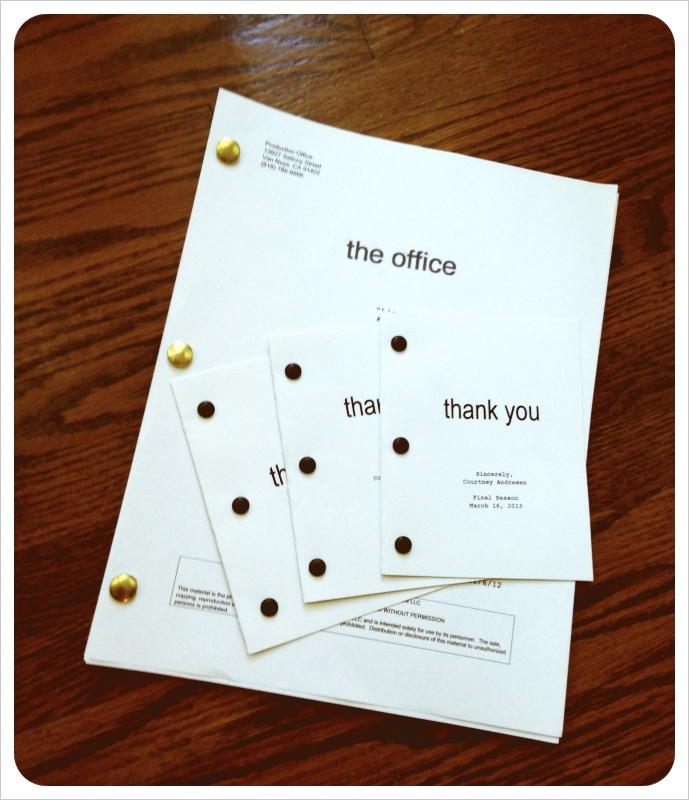 Quite a few people brightened my days at Dundler Mifflin and not just Jim and Pam. And I needed to thank them. 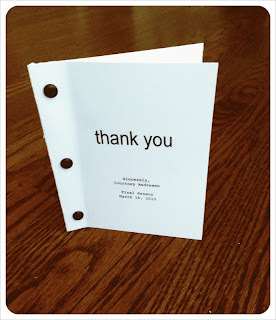 I made my thank you notes to resemble the scripts we got every week in order to make television magic. That's a wrap! 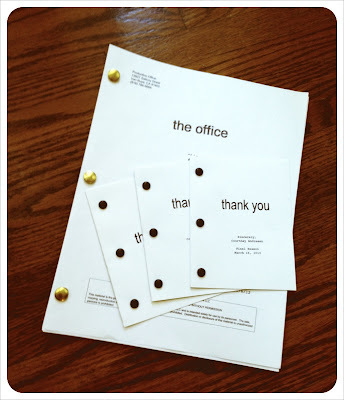 So long, Scranton! I'll miss you!